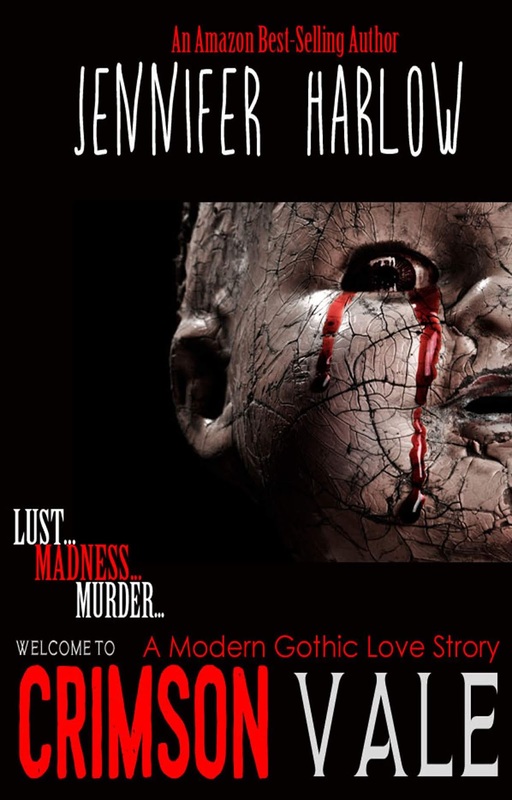 Tagline: Lust…Murder…Madness. Welcome to Crimson Vale. It’s a dream come true. A vast inheritance. A beautiful mansion in the heart of the small town South. A seductive, mysterious, literal man of her dreams offering true, pure love. Ravaged in both body and mind, Jane Harrow leaps into that living dream with abandon. Despite the warnings from both the living and the dead. Because what Jane doesn’t know is nothing and no one are what they seem. 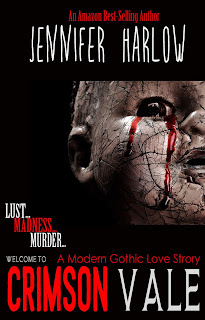 Jennifer Harlow spent her restless childhood fighting with her three brothers and scaring the heck out of herself with horror movies and books. She grew up to earn a degree at the University of Virginia which she put to use as a radio DJ, crisis hotline volunteer, bookseller, lab assistant, wedding coordinator, and government investigator. Currently she calls Atlanta home but that restless itch is ever present. In her free time she continues to scare the beejepers out of herself watching scary movies and opening her credit card bills. She is the author of the Amazon best-selling F.R.E.A.K.S. Squad, Midnight Magic Mystery series, The Galilee Falls Trilogy, and won the Independent Publisher’s Award for Best Mystery Novel.